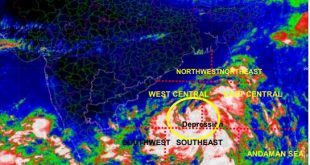 Cyclonic storm VARDAH likely to spare Odisha! Bhubaneswar: The deep depression formed over the Bay of Bengal has intensified into a cyclonic storm ‘VARDAH’ and it is likely to intensify further into a severe cyclonic storm during next 24 hours, said Indian Meteorological Department (IMD) on Thursday. VARDAH is likely to move towards Andhra Pradesh coast sparing Odisha. However, the met department has hoisted Distant Warning Signal Number Two (DW-II) at Paradip and Gopalpur ports. “The cyclonic storm VARDAH over the southeast Bay of Bengal moved further northwards during past 06 hours with a speed of 9 kmph and lay centered at 0830 hrs IST of today, over the southeast Bay of Bengal,” said an IMD release. It has lay centered about 1050 km Southeast of Gopalpur. 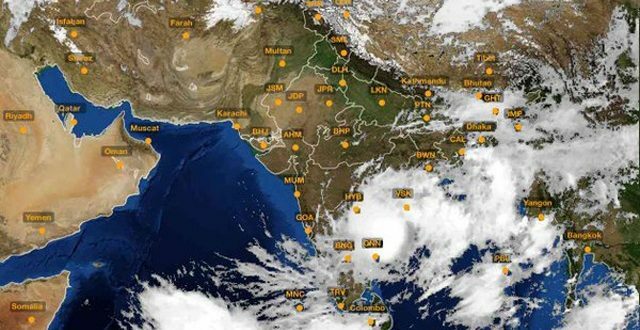 “The system is very likely to intensify further into a severe cyclonic storm during next 24 hours. 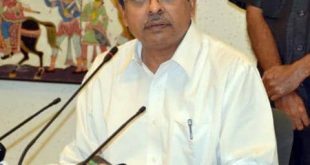 It is very likely to move nearly northwards for some more time, then northwestwards and cross Andhra Pradesh coast between Nellore and Kakinada around forenoon/ noon of 12th December 2016,” said the release. Meanwhile, the Special Relief Commissioner (SRC) has issued an alert to district collectors to be alert. SRC has also advised farmers to keep their harvested paddy under cover to avoid damage from possible rainfall.